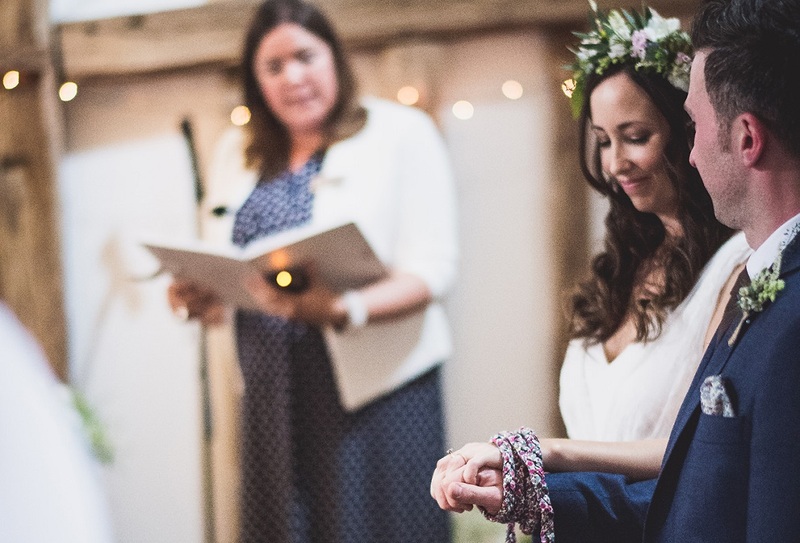 The words 'hand fasting' originally meant "betrothal" and just as you often do when shaking hands with someone, you are joining your hands together to form an agreement (albeit in this case, a symbolic one just for your wedding ceremony). 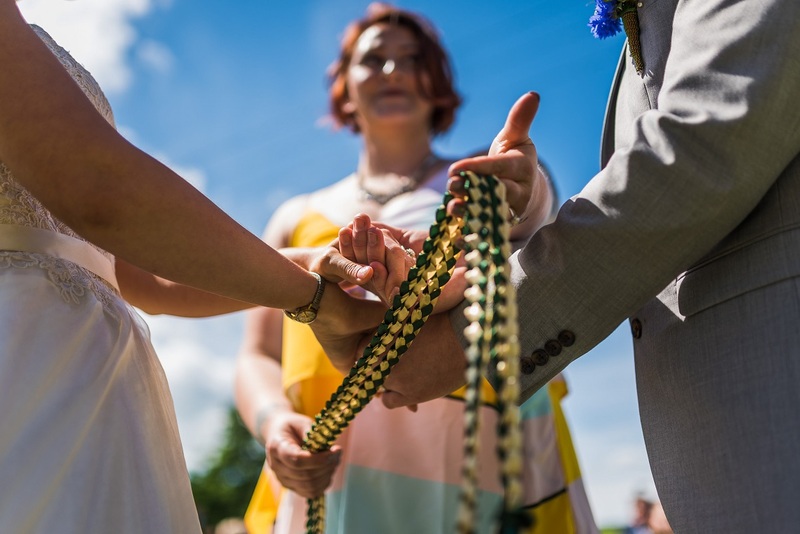 In a wedding ceremony today, a handfasting can still be conducted in full as part of a spiritual ritual, but for the vast majority of my couples, it is used in more of a modern and symbolic way to represent them coming together and is a lovely way of involving family and friends too. 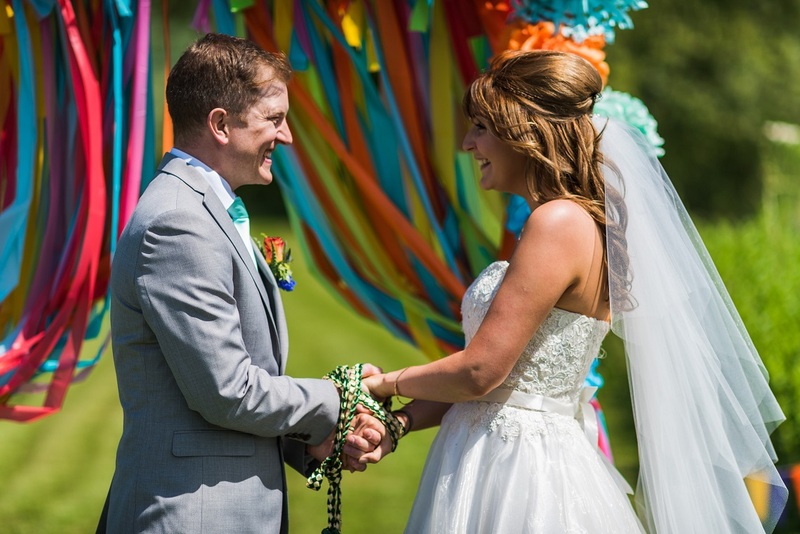 I love what they represent, and enjoy including them in my ceremonies for couples! 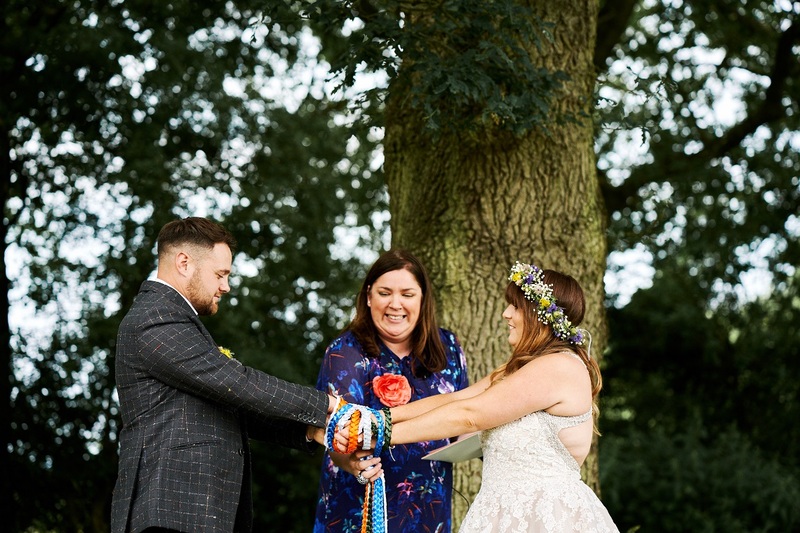 There are lots of different ways to include a handfasting within your wedding and I have created ceremonies with many variations of this fabulous gesture. 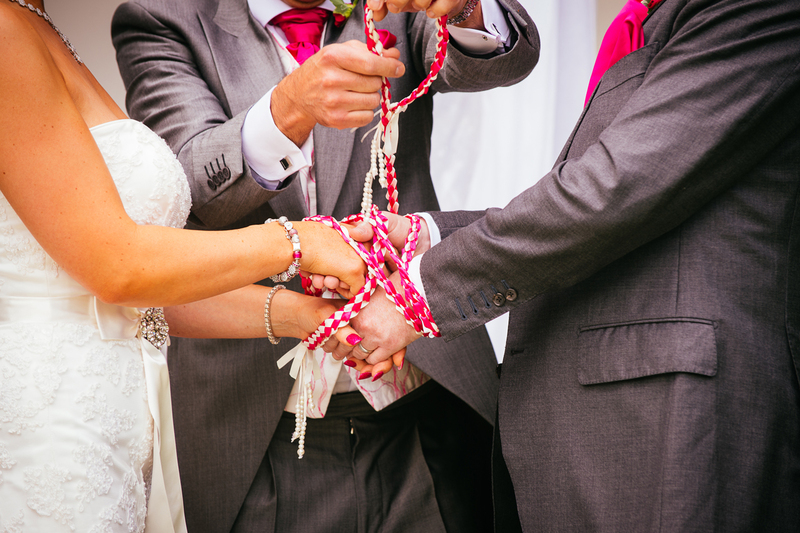 This is where a single cord is tied to represent the couple joining together. It can be in a single colour (perhaps a colour that fits with their wedding theme, or a colour that holds significance to them). 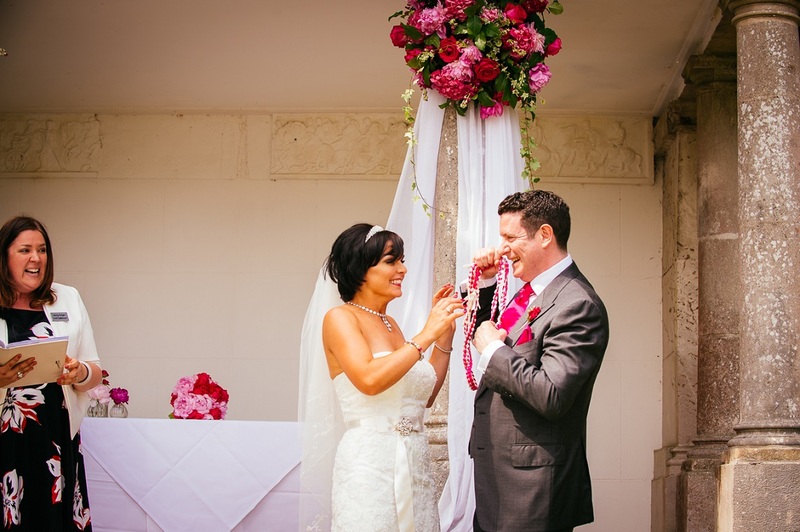 This would normally take place after the vows and rings, and before the first kiss, but can be incorporated in other ways depending on the style and format of their ceremony. I work with my couples to ensure it works well on the day and I guide them through the whole process. 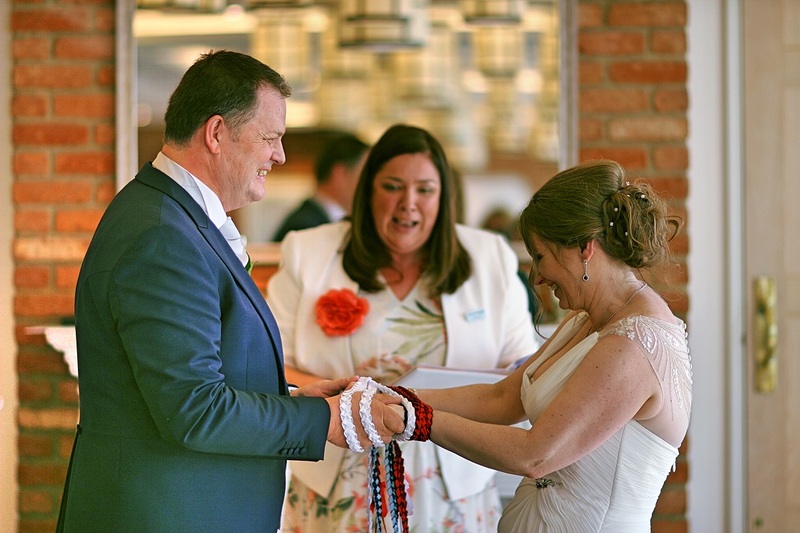 If my couples are celebrating two different cultures or backgrounds coming together, then we often use two cords, each in a colour (or colours) that represents their respective families. 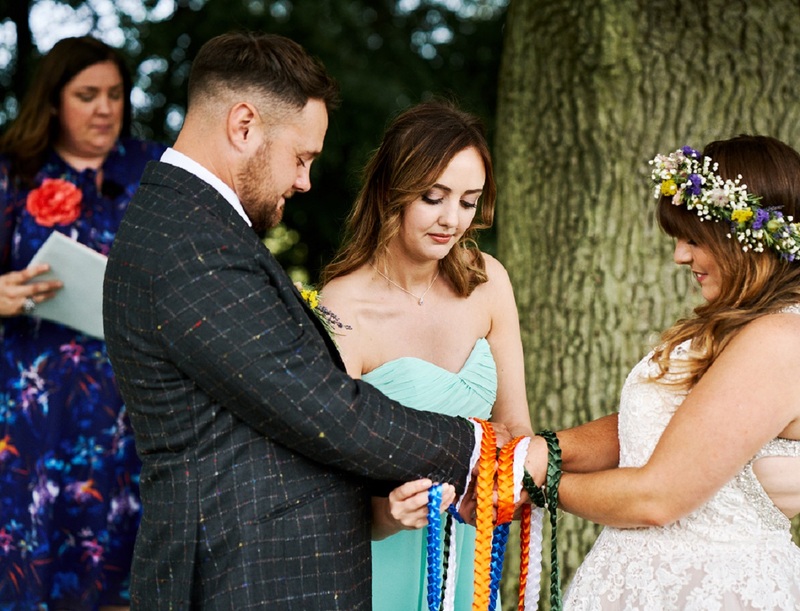 In this wedding, my bride had a Scottish heritage and so her cord was made using the colours of her family tartan. 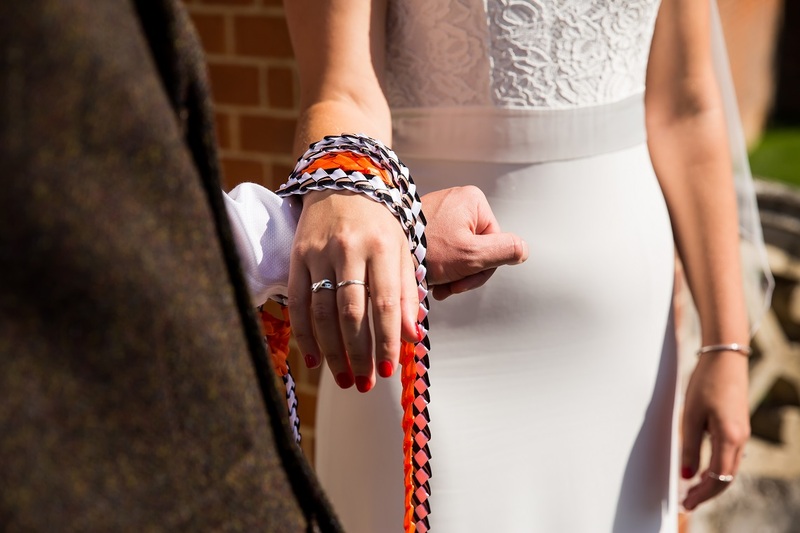 The groom was of Dutch descent and so he had a bright orange cord and when tied together they were just amazing! 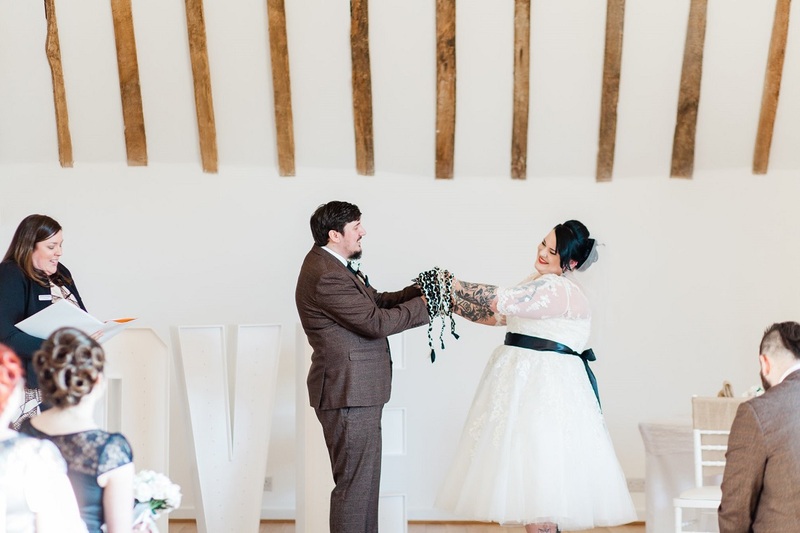 They are also a wonderful visual element to the ceremony that guests can enjoy witnessing, and we talk about how this special day is not just about two people coming together, but the extension of family ties too. 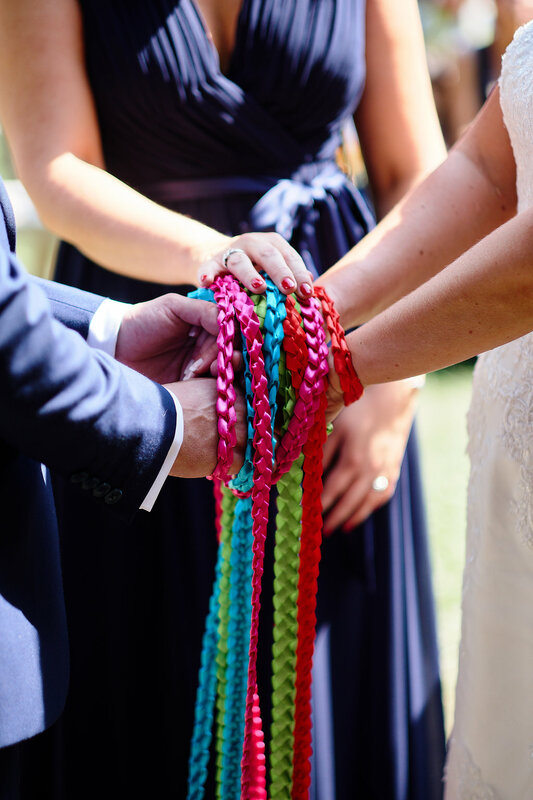 I absolutely love these, and my couples enjoy a very interactive part of their ceremony when they opt for a multi-cord handfasting. During the course of the ceremony we talk about their relationship, family and their future, and out of this comes a wonderful opportunity to celebrate each of these things. We begin by looking at areas of their life and relationship that they want to acknowledge, and then a coloured cord is made to represent this. 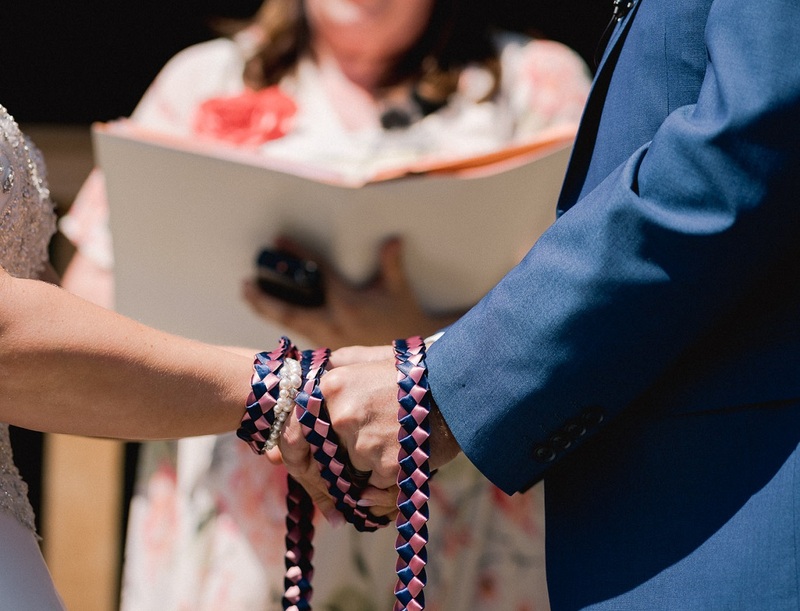 You can choose whether you want to have me read part of a blessing or a poem during each binding that is made, or whether you want me to introduce family and friends that will come up to wrap the cords and perhaps say something personal to you both too. 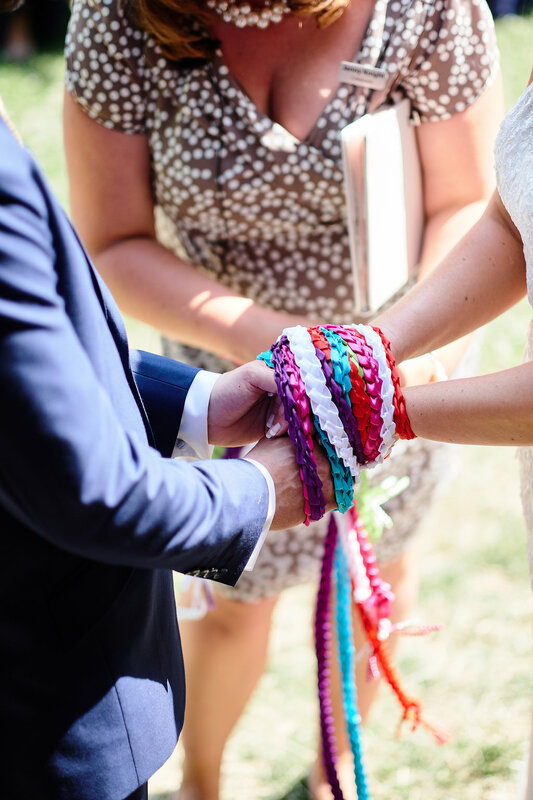 Once all of the ribbons have been wrapped, I bring them all together and secure them in place by "tying the knot". This is a lovely way to demonstrate that all of the key things in your life have come together on your special day and that you now go forward together with a strong bond in place. To conclude this part of your ceremony, I talk about the bonds that you have formed, and what it means to have all of these wonderful elements of your relationship in place. The couple's hands are then held aloft for all to see. It is important to remember that such an intricate activity can often be missed by those seated at the back so I make sure everyone can see what has just happened, and I explain what we have done too. The couple then slips out of their ties and I place them (and their commemorative certificate) in a folder for them to keep as a memento of their personal ceremony. Some of my couples choose to make or source their own cords, and these can be made from anything you like! One bride of mine used strips of fabric from the t-shirts that they had been travelling in (all washed of course!) 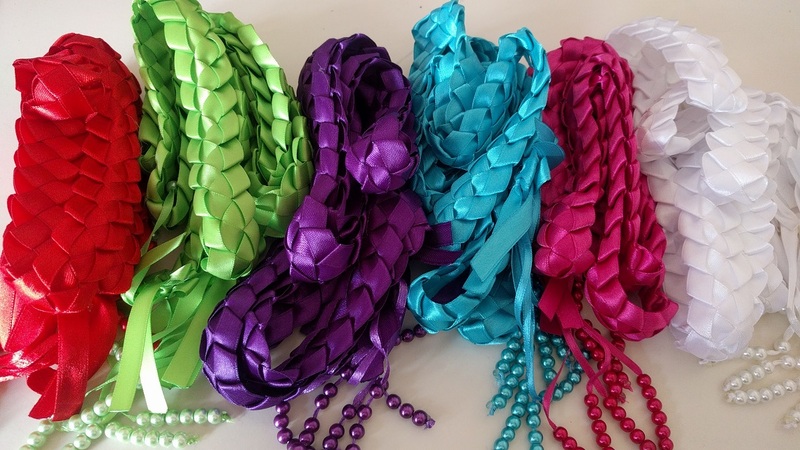 and plaited them to make handfasting cords. 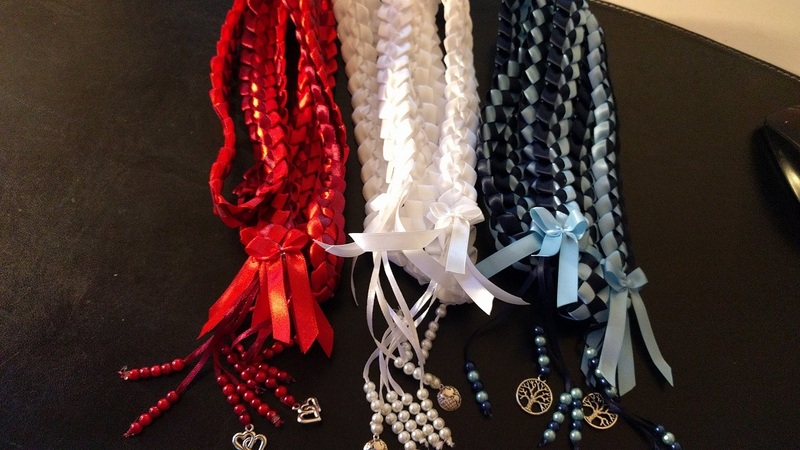 If you like the look of the ones used in the above images of my real ceremonies, I have a lovely lady that I trust with the crafting of these special cords, and I would be delighted to have some created just for you! 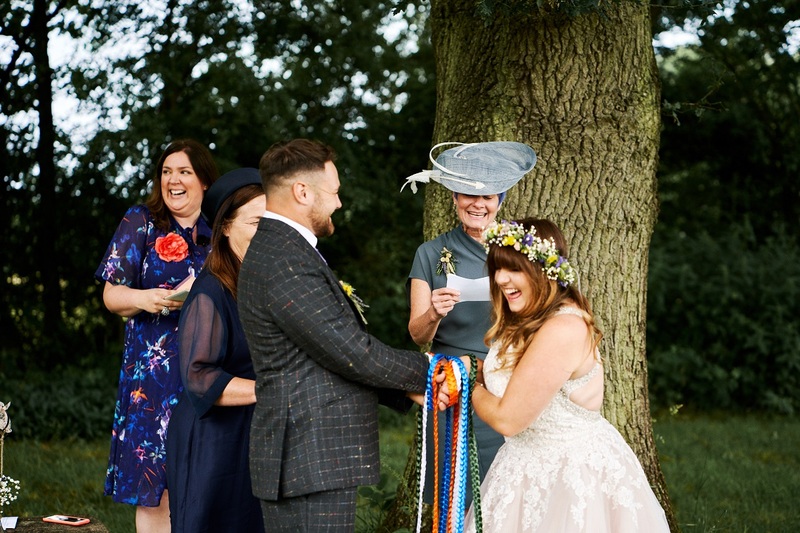 There are so many ways in which you can incorporate this lovely symbolic activity into your day, and I would be delighted to chat through it with you and help to create a very special ceremony together. 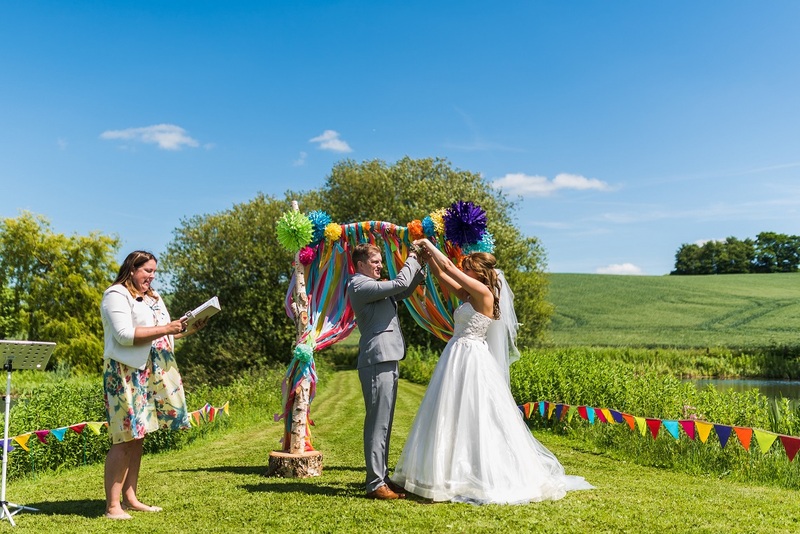 Why not celebrate your union in this fabulous, colourful and meaningful way!